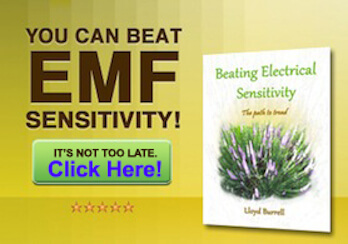 Can Earthing Really Combat The Effects Of EMF Pollution? Is earthing, or grounding really a cure for inflammatory diseases, back pain, headaches, arthritis, electrical sensitivity and other diseases? I decided to try it myself to find out if it really works. Below is a short video with transcript which explains more about how earthing works. Dr. Sinatra: “Some of the most radical ideas are really the most simple. I mean, you look at grounding for example or earthing; putting your bare feet on the ground soaks up lots of electrons because the earth is negatively charged and our bodies are so full of free radicals from anything from heavy metals, to air pollution, to trans fats. Our bodies are being inundated with a firestorm of free radicals so you have to put the fire out. And you can put the fire out in many different ways. The earliest and the most primitive form of healing the body is putting your bare feet on the ground. I call it cave man medicine or the barefoot revolution. When you to go the beach or you take a beach vacation, or you go barefoot in a park, or you sleep in the park on your back, or you are looking at the stars at night and you are grounded, people say I feel really good. It is like when people go on a vacation at the beach they think, oh no stress, plenty of sunlight, good restaurants, that’s it partially. What is really happening is when they go onto the beach they are grounding themselves. Whether we are in the water or whether they are walking on the sand and that really shifts the ergonomic nervous system to a point where it is functioning better and that is what it is all about. When you walk barefoot, you are literally soaking up millions of electrons into the body so you can detoxify the body. Whenever you take on electrons in the body you are making the blood thinner, so instead of the blood being more like red ketchup it becomes more like red wine and we know that hyper-coagulable states, sludgy blood, is the most common cause of stroke, heart attack, cancers, tumors, neurodegenerative disease and diabetes. There are so many toxins in our blood stream that our blood becomes so viscous; it becomes thick. When you put your feet on the ground, like I am doing right now and my feet are on the ground that has been little bit irrigated, that is a little bit wet and there is good conductivity, I am soaking up millions and millions of electrons right through my body and these free electrons will intercept free radicals and when this happens the body has a shift and in our experiments we showed that within 2 seconds of grounding you get a change of skin conductives. It is almost like a lie detector test, it happens quickly. What grounding does from the cardiac point of view, it improves heart rate variability, it absolutely shifts the sympathetic nervous system back to the point where nervous system has more tranquility in it; we record bigger stimulation. 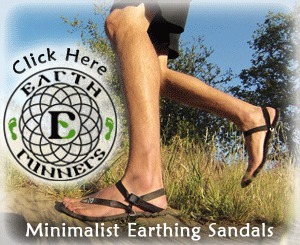 What Scientific Proof Exists As To The Benefits of Earthing? Health Implications of Reconnecting the Human Body to the Earth’s Surface Electrons, click here to see study. Earthing Reduces Blood Viscosity—a Major Factor in Cardiovascular Disease, click here to see study. Changes in Pulse Rate, Respiratory Rate, Blood Oxygenation, Perfusion Index, Skin Conductance, and Their Variability Induced During and After Grounding, click here to see study. Emotional Stress, Heart Rate Variability, Grounding, and Improved Autonomic Tone, click here to see study. Its all about getting back into contact with mother earth. It sits well with the idea that the illness and disease of our modern times is aided and abetted by a loss off daily contact with nature that our ancestors had. This contact has been lost because of the houses we live in, the offices we work in, the transport we use. They all insulate us from this contact with the earth which is so vital, even fundamental. Our beds keep us suspended off the floor, our offices enable us to spend our days several levels off the ground our autos carry us along off the ground on insulating rubber tires. And when we do go for a walk in the park, or in a forest we are inevitably wearing shoes with man made soles which keep our feet from making any direct contact with the ground. 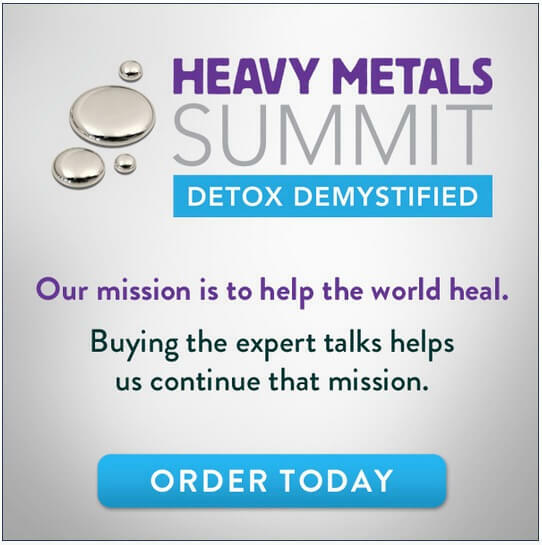 When you add this lack of daily physical contact with the earth to other factors like the exponential increase in EMF exposures and other pollutants which have been introduced into our lives in the last few decades you begin to understand the problem. The simplest and easiest way of re-establishing the link with nature is to walk barefoot as much as possible. I like to do it in the morning. I’m fortunate to have a small garden next to my home. When I get up I like to go out and walk bare foot for a few moments. If there’s a dew all the better, its even more effective. If its raining or cold it doesn’t stop me. I just put a coat on over my nightclothes take my shoes off and do it all the same. Everybody doesn’t have the luxury of a garden. Maybe it’s easier for you to do this exercise during the day by taking your shoes off for a few moments in the park. One of the best grounding exercises is to walk barefoot in the sea water. When you’re on holiday paddle along the shoreline or maybe there is a lake or pond near where you live where you can do this. One effective way of adding to this effect is by using very simple earthing equipment. 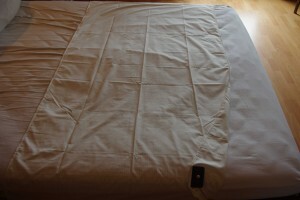 I installed an earthing sheet, or bed pad, for my bed initially to try the idea. Its like an under-sheet that you position below the bottom bed sheet. Then to ground you just plug it into the electrical socket in your bedroom (there are some cases where this will not be possible). Once its installed you cant see it or feel it under the sheet. Initially I found that I didn’t sleep very well for the first few nights. But then my sleeping improved and I felt I had more energy from using it. Once I began to feel that the earthing sheet was having a positive effect, instead of placing the sheet underneath the bottom bed sheet I swapped positions, making it so that the grounding sheet was on top of the bottom bed sheet and therefore in direct contact with my skin. 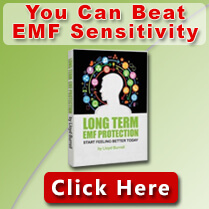 Earthing and EMFs What Can You Expect? Don’ t expect miracles overnight with earthing. Initially I was quite skeptical so I bought the Earthing book written by Ober, Sinatra (in the video) and Zucker. It was an interesting read. It talks a bit about the “science” behind it, about practical ways to earth, and even talks about electrosensitivity. But about half of the book is made up of testimonials. 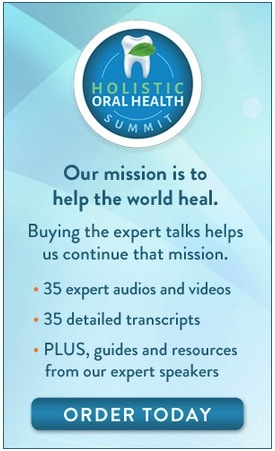 Lots and lots of stories and testimonials. The stories about improved athletic performance and all the various diseases (particularly inflammatory) did get me wanting to try the earthing products. 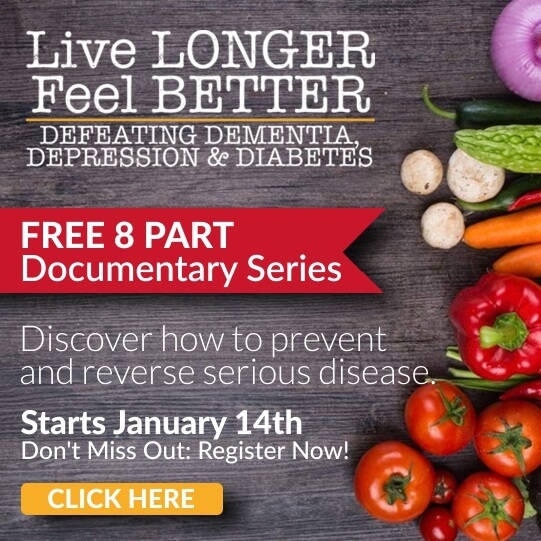 Having now used them for some time I can say that I honestly do believe that they have had a positive impact on my health. I initially bought an earthing sheet and earth pad but there are now many inventive earthing products which make earthing easier like the body band kits which allow you to earth a particular part of your body, perhaps where you have pain or inflammation. 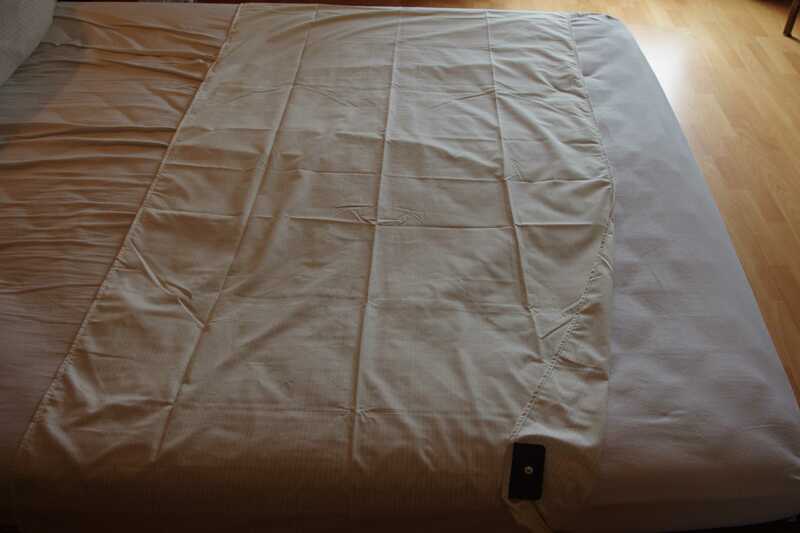 The earthing sheet you install on your bed as shown above. The earthing mat is a grounded rubber mat. I use mine in my office under my monitor, but you can sit your CPU on it, or your monitor. Is it Safe To Earth Anywhere? 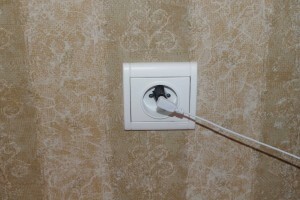 Earthing in an environment where there are potentially high levels of EMFs is to be avoided. If you are using an earthing sheet in your bedroom you can try and measure with your EMF meter to ensure that via earthing you are not exposing yourself to high electric fields. But this is a delicate exercise which requires obtaining what the Institute of Building Biology calls a potential-free electric field measurement. For a more complete explanation of this issue click here. Unless you are absolutely sure about that your electric field exposures have been reduced when you earth I recommend switching off the mains circuits to and around your bedroom. 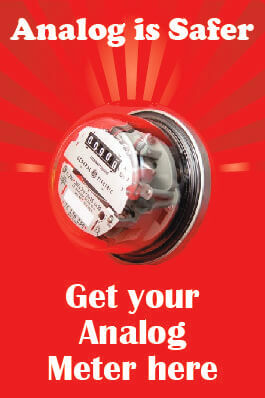 And even then, you are wise to check the EMF readings with your EMF meter. If you are looking for an easier way to switching off your circuits, an electricity demand switch can do this in an automated manner (should only be installed by a qualified electrician). In your office, for instance, better to earth your equipment than earthing yourself using an earth mat. Because in earthing yourself in a high EMF environment you may well be exposing yourself to significant electric fields. Is It Really Safe To Go Barefoot Outside? Obviously the first thing is to watch where you walk. Broken glass, sharp stones etc. can be a real hazard but this aside, from an EMF exposure viewpoint going barefoot in nature means you are outside and in theory away from any major sources of EMFs. Though even outdoors there could be an issue with stray voltage. Also known as stray electricity, ground current or neutral-to-earth voltage, stray voltage can be defined as a current that arises both from design faults in the distribution systems of the electrical utilities. Because electrical current uses the earth as the path of least resistance rather than the neutral wire provided by the existing electrical system, if you are walking barefoot you could be exposed to these EMFs. A body voltage meter will tell you if these EMFs are present in your environment. When done in the right environment earthing can be an easy, safe and inexpensive way to counteract the effects of EMFs and other pollutants. Earthing mats, earthing sheets, earthing bands, there are more and more elaborate ways to earth. Start earthing by taking your shoes off more outside, and see how it feels. Earthing! I read about it in your Complementary Medicine newsletter last week. I went outside and tried it, right before the hurricane, and it felt soooo good. The gratification was immediate. I hadn’t intentionally walked barefoot outside in years! I called up all my friends and family, told them all about it. Really, it topped out as the best walk I had ever had! Many, many thanks! I am quite sensitive to energy and my body’s responses, and I noticed a while ago that when I lie down on the earth – either the grass or at the beach, my whole body and mind slow down and feel as though they are coming into line with the rhythm of the earth – my own subjective experience I know, but now I am reading the “Earthing” book, and understand a bit more about the science behind this effect. I go barefoot for at least 30 minutes outside most days, as does my husband. It’s early days, but we are both finding it very beneficial to aches and pains and general wellbeing. The added benefit is the re-connection with nature. I would like to add something to the barefoot practise, and that is to remember to offer thanks – I thank Mother Earth, but we each have our own beliefs and ways of giving thanks, all of which help us to be in connection with the cycle of giving and receiving. And I agree not to let the weather put you off too much, although I do admit to living in temperate Auckland, New Zealand, so I don’t need to worry about frostbite! Thanks Lloyd for raising awareness of this healing practise. 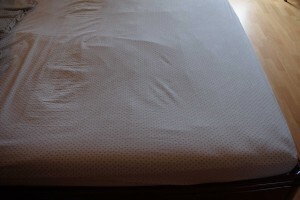 Question: You paced your earthing sheet under your bottom sheet? Everything I‘ve read says it goes on top of bottom sheet so you have direct contact with bare skin. I bought conductive fabric and a grounding plug and made my own, but I do find it a bit scratchy, and would love to place it under my fitted sheet. I just want to make sure this is not a typo. Direct contact with the bare skin is better. Since writing this I have placed it over the bottom sheet. Hi Llyod, I always walked around and worked bare feet in the garden. I moved into a new area, and when working in the garden I could feel tingling sensations, and when I finished for the day and went inside of our home house, my feet burned and tingled for an hour later. Our home fronted onto a running creek (50 metres away), and on the other side of the creek, 200 metres away was high voltage power lines. I believe the EMF was passing from the power under the creek and my soil was alive. I would like to give the earthing sheet a go, but I am apprehensive because of the the poor results when I earthed Yshield, and if the dirty power is extreme and the ground outside is charged from faulty underground power, then what sort of an affect could it have if I connected to earth sheet to the power point? Sorry for the delay in replying – it sounds as though stray electricity may be an issue where you live. In your case I would not advise earthing without first measuring your body voltage. You can do this using a regular multimeter or a body voltage meter designed for this purpose. Why do you emphasise on walking bare foot outside only? For people like me who dnt have time and open space in and around, can’t we just inculcate the habit of earthing while inside the house? Doesn’t walking barefoot on concrete help to some extent(if not as musch as on a green grass/beach surface)? I emphasize walking barefoot outside for 2 reasons: 1.Its the most natural way to earth…you can’t earth by walking barefoot in a high rise building, even in certain homes and offices suspended flooring can mean that you think you are earthing, when you are not. 2.Earthing indoors around electrical equipment can be dangerous, it can mean you are exposing yourself to high electrical fields.